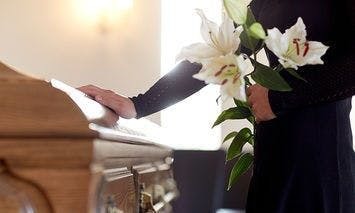 Bice's Florist offers same-day and express delivery of funeral flowers to Bedford Memorial Funeral Home in Bedford, TX. Let us help you choose the right flowers to send during a difficult time, whether they are casket flowers, a standing spray, funeral wreath, sympathy arrangement or plant, or a custom funeral flower design or package. We are proud to be your local flower delivery service for Bedford funeral homes and other local businesses. Order online or call us directly for personalized service.